Word has probably gotten around that February is National Pet Dental Health Month. In honor of our beloved pet's pearly whites, I wanted to share exactly what happens when you take your pet to the veterinarian to have their teeth cleaned. 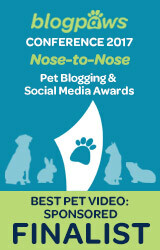 I know it's something that so many people are scared to do because pets need to be anesthetized during the procedure. Yes, there are risks with anesthesia - but in most cases, the benefits outweigh the risks when it comes to having your pet's teeth cleaned. 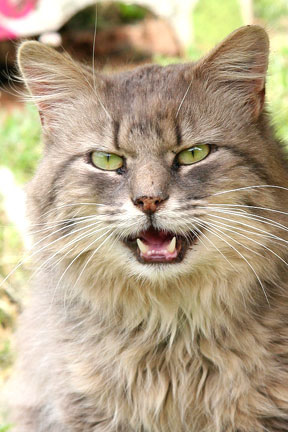 Did you know that pets with periodontal disease are more prone to kidney and heart disease? All of the bacteria from tartar build-up in their mouths is basically flushed throughout their body. Poor dental health in pets can also cause oral discomfort and pain which may in turn make them lose their appetite. Many people think that brushing their pet's teeth is enough, but the truth is that it's not. Doesn't your own dentist recommend that you get your teeth cleaned 1-2 times a year? I'm sure you still brush your teeth between cleanings. Many veterinarians will recommend the same for pets, but in my opinion it really depends on the pet and the amount of tartar on their teeth. The truth is that regardless of how often you brush your pet's teeth or provide them with dental chews, they will still probably benefit from at least one dental cleaning or more in their lifetime. Brushing does not remove tartar. It only prevents further tartar from accumulating. I have performed a lot of dental cleanings on pets including dogs, cats, and ferrets. I want to share the teeth cleaning process with you in hopes to ease any fears you may have about having the procedure done. Also, I think it's something a lot of people are probably curious about. Here's the step-by-step cleaning process from my experiences. Please note that procedures vary by animal hospital. The procedure I explain here may not be identical to protocol in other hospitals, but is probably very similar. First of all, you will probably have to drop your pet off at the vet clinic early in the morning and make sure they were fasted overnight. A lot of people wonder why they have to bring their pet in first thing in the morning if they aren't getting their teeth cleaned until later in the day. The answer to this is because the pet needs to be prepped for the procedure. After you drop your pet off, you'll probably sign some release forms and be sent on your merry way. In the treatment area of the hospital, your pet will probably have a few tests run to make sure they are healthy enough to receive anesthesia. The doctor examines the pet, takes its temperature, and listens to its heart. The technicians then draw some blood for a pre-surgical blood panel and run it in-house. Results are usually ready in about 10 minutes. Then an EKG of the pet's heart is taken. Lastly, an IV catheter is placed. All of the tests are then reviewed by the veterinarian who either gives the OK for the procedure or decides that the pet had some other issues that needed to be addressed first. In that case, a call to the pet's owner is made. After the pet is prepared for "surgery" (we called it surgery even though it wasn't actually a surgical procedure), they are sometimes given a pre-med. A drug, which I find varies by doctor's preference, given to the pet to cause a little sedation prior to giving them anesthesia. After about 10-15 minutes, the pet is taken out and placed on the dental table. All of the equipment is ready to go beforehand of course. The doctor administers some propofol through the IV catheter and the pet becomes very sleepy and relaxed. Once their jaw muscles are nice and relaxed, the doctor intubates the pet and they are hooked up to the anesthesia machine. After this, technicians and doctors work pretty quickly to get their oxygen going, hook up monitors, and even a ventilator sometimes. Most vet clinics don't use ventilators on a regular basis I'm pretty sure, but it's something we used. The technician watches carefully to make sure the pet's heart rate is good and that they are breathing well. 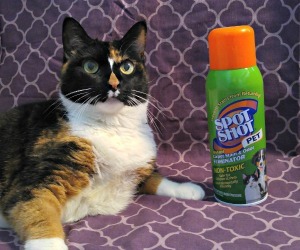 Eye lube is applied to the pet's eyes to make sure they stay moist during the cleaning. The pet is placed on an IV drip of fluids to make sure they have good blood pressure during the procedure. 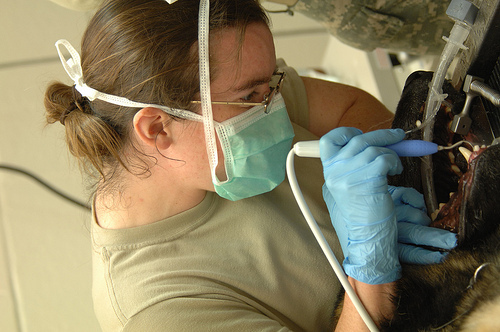 Once all of these things are done, a technician starts cleaning the pet's teeth with an ultrasonic scaler. This can be pretty tedious work! And sometimes, it can be pretty disgusting too. Anyhow, after the teeth are cleaned they can then be polished and sometimes even x-rayed. Doctors chart the teeth and make notes in the record. After all of that, the pet is flipped over to their other side and the process is repeated. A fluoride foam is applied to the teeth and then rinsed from the mouth after it sits for a few minutes. And that's it! If your pet needs additional work such as extractions, throw that into the middle of the cleaning procedure somewhere. During this whole procedure, your pet should be monitored very closely. So that's the gist of a pet dental cleaning. Depending on the condition that the teeth are in, I'd say this usually takes about 30 minutes to 1 hour. If x-rays are going to be taken or other work needs to be done, I'd say 2 hours. After the procedure, the pets wake up in a nice warm cage and monitor their temperature since anesthesia sometimes causes a decrease in body temperature. A technician will also continue to monitor them throughout the day until it's time for the pet to go home, usually in the afternoon. It's hard to convince everyone, but just remember that an ounce of prevention is worth a pound of cure as the saying goes. I've seen people wait until the last minute with pets whose teeth were completely brown with tartar, had abscesses that ruptured leaving holes in a pet's muzzle, and more. The price of extractions, other special procedures, or treatment for heart and kidney disease is probably more costly and painful than preventive care. So, continue to brush your pet's teeth (if you can) and provide them with good things to chew on in the meantime. Really hard bones or toys are actually not recommended because they can cause fractures in your dog's teeth. A lot of vet clinics have specials on dental procedures during the month of February so you might want to take advantage of that before they are all booked up. We get regular Greenies to keep our teeth clean... so far the vet says we're doing well, paws crossed that it stays that way! Thank you for the informative article tho, the Rumbleparents like to know what's in involved in these things. Great article Ann, this is all so true! I did not learn till I also went to school how important it is to brush your pets teeth, and keeping them clean if need be with dental visits to the vets, definetly worth it for the welfare and even financially in the long run! Thanks Lea - you are right about it being worth it in the long run. Nice run down of the whole process Ann! I'm doing my pet dental health series each Wednesday this month and I'd like to link to this post in my post next week. People don't realize how much oral health affects all over health whether it's pets or people. It's great we can help inform. Thanks Dawn, I'll look for more dental health posts from you. I found it pretty interesting when you said that people's teeth were harder to clean lol. It seems like people's teeth are much easier to x-ray at least! Hi Ann. This always worries us as Pip is too old at 15 plus and with her heart condition there is nothing we can do. We feed wet food in the morning and dry at night on the hope that some crunching will help but she hates it. Last check she was OK but stinky breath is the problem. We have to live with it I suppose. Have a terrific Tuesday. It's hard when pets get older and get heart conditions and things. Sorry that Pip is dealing with that sort of thing. I am sure that Pip is still living the good life over there! Mom asked the vet if I neededmy teeth cleaned as soon as she adopted me. The vet said I was fine. Mom brushes my teeth every day. My toothpaste tastes like chicken. Yum. That is so awesome that she brushes your teeth every single day! Your teeth always do look very nice in your pictures Cupcake! Wow, Ann...this is a wonderful explanation of what goes on "behind the scenes" during a pet dental cleaning. I know some people are nervous about the anesthesia and I don't blame them. 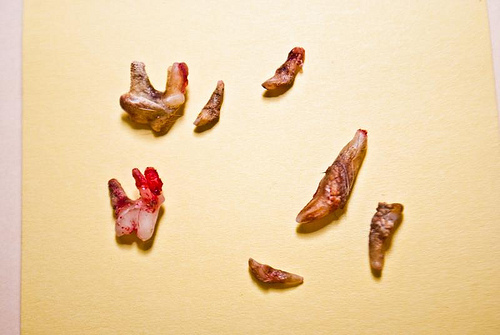 But it is true that tartar can cause a lot more than bad teeth for pets, just like for humans. Thank you for a great and informative post! Thanks Oz! It is super hard to convince some people... It's understandable I guess, but death under such a simple procedure is very rare. I can think of 2 deaths that occurred when I was working... one of the pets unfortunately never even received any sort of anesthesia or medication though. Great post and super description of how they clean teeth. Take care. Torrey is only 2 and having trouble already. I am going to get her in as soon as I can. She let's me brush them, kinda, but she needs a cleaning for sure. Thanks for posting that. Olivia had her teeth cleaned for the first time last year at the age of 5 and she just had her annual check up today and her teeth are still in great shape! 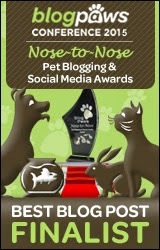 Ann, all of us at Kitty Kanteen and Olivia too just love your blogs as there is always something new to learn!! Love to you from Elliott and the whole crew!! You guys are so sweet! Glad that Olivia's teeth are doing great this year! Hope you pass the test Easy! whoa...that pup DOEZ haz sum kleen teethz !! Really informative. Dental health is so important and often overlooked! So so very good to hear your practice does the blood panels. some don't - and that could prevent some serious heartache for sure!! Our vet has an anesthetic unit form a nearby hospital, and they are intubated and monitored the entire time. Two step process, yes, usually valium and isofluorine. ANd x-rays are soooo important too! Maxie came through this time without any - but the x-rays showed that 4 of his molars have about 30% of the root exposed, so it's just a matter of time. He's a 2x/year kitty because of his stomatitis/gingivitis - and so perhaps it'll happen in July. His teeth are so sensitive and the gums are treating them almost as foreign bodies (which makes sense given his condition) that it's too painful to brush his teeth. We biotene instead. I worked in one where the blood panel was the owner's decision if they were younger than 5 years old. We actually used sevoflurane which is a little safer (I'm not sure how much safer) and easier to manage. As a technician, I loved sevoflurone a hundred times better than iso. The animals don't wake up all crazy like. Poor Maxie - glad he is getting some excellent dental care! Yikes! My Sister Sascha just had a cleaning and no wonder she wasn't happy. Great post though! That's something I've always been interested in. One of our technicians used to use one of those plaque scrapers to get tartar off of her dog's teeth all the time when he was awake. He had the most perfect teeth I've ever seen on a dog. 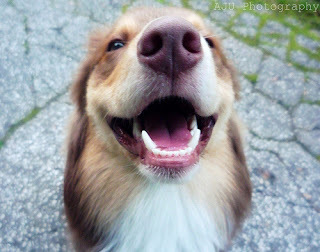 Our shelties when I was younger always had some pretty horrible teeth too. Definitely a breed I think is more prone to tartar buildup along with a lot of other smaller breed dogs. Elizabeth has made it to 10 years this month without having her teeth cleaned!! But her breath started to smell a bit stinky this summer so she is going for her first treatment on Friday! Her heart is as strong as a horse! That's awesome :) I'm sure she'll do great and come back with some nicer breath hopefully. Thanks! I can't believe that it's been so long since I wrote this because it feels like I wrote it just the other day. I am also negligent in the brushing department and do plan to do it more often. The difference between human and veterinary dental practice is that we can tell the dentist when there is a discomfort, but the animals are not like that. So it requires thorough oral examination under anesthesia and dental radiography to identify the underlying pathology.